As you may have understood from my previous blog post, I’m currently trying to add USB3Vision support in Aravis. It’s an interesting challenge, as, like for GigEVision, I don’t use the USB2Vision standard documents, and this time I’m also discovering the USB protocol. So far, what is in master provides a good support for the only camera I have, a Basler acA1920-25um. Performance is quite good, better than with GigEVision (65kB packets help), and it will be even better when I will have removed a useless memory copy operation. I also have to improve the handling of camera deconnections. That being said, the fact I only have one device at hand means the testing coverage is pretty poor, compared to GigEVision where I have 10 cameras from 4 different manufacturers. So, if you want to help the aravis project in gaining a good Usb3Vision support, I will gladly accept hardware donations. Preferably from a country member of the European union, in order to avoid custom related troubles. Just send me a private message if you are interested (emmanuel at gnome org). I have received two new cameras for aravis development. The first one came from The Imaging Source, thanks to Arne Caspari. It’s a DMK23G618 monochrome camera. As a bonus, I have also received a couple of patches from Edgar Thier, allowing to correctly set the acquisition frame rate on this kind of device. 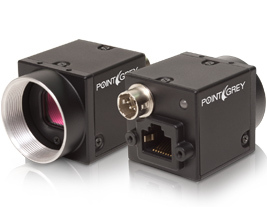 The second camera is a Blackfly BFLY-PGE-14S2C-CS colour camera, which comes from PointGrey, thanks to Damian Nesbitt. 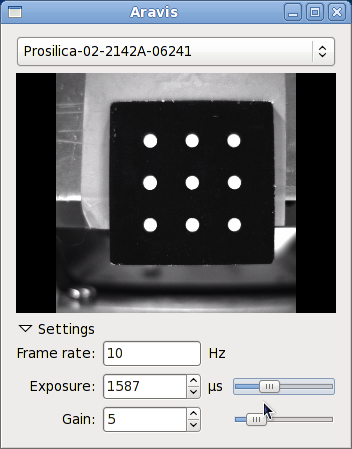 This camera is interresting as it requires the support for PENDING ACK packets, a feature not yet implemented in aravis. After 810 commits over almost 3 years, I’ve released the first stable version of Aravis. I think this library is in a pretty good shape now, and should be useful for everyone trying to control Genicam based cameras. So, what’s new since the last blog entry on an Aravis release ? Mostly bug fixes, but also some new features. The video stream code has been vastly improved and should be more robust now, with a better packet resend mechanism. I’m still not completely happy about this part, as when using my Ace camera on a low quality network (i.e. wifi), after some time aravis lost the connection to the camera. I’v renamed arv-show-devices to arv-tool, and then added the capability to read/write and list the device features. It’s really helpful for testing Aravis. The color support is also improved, and now the gstreamer plugin supports caps filtering, which makes it more consistent with the behaviour of other gstreamer plugins. Finally, the library is parallel installable, which means I should release a stable version of aravis soon. 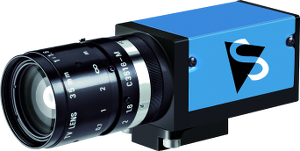 Bert Douglas, from TPLogic has donated a Basler acA1300-30gc color camera, equipped with a very nice Theia MY125M lens. This donation already helped me to fix a number of obvious issues related to the new pixel formats this camera supports. 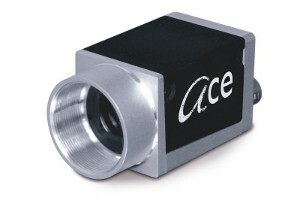 And it is very convenient to have this device at home for aravis development. I’ve released Aravis 0.1.3, which includes a simple video viewer, with frequency, gain and exposure control. Thanks to Tom Cobb, this release also contains fixes to some issues that should allows to support more cameras. There’s also now a mailing list open to any discussion around aravis: http://www.freelists.org/archive/aravis/. I’ve just released the first unstable version of Aravis. As Aravis don’t have a bug report facility yet, please report any bug to me using this address: emmanuel at gnome org. Want to help Aravis ? If you want to help Aravis, you can as usual report bugs, or contribute code. It would be interesting, for example, to add support for other protocols than gigabit ethernet. Another way would be to give me access to more cameras. Currently, I can test Aravis with a Basler Sca1400 and a Prosilica GC1380 cameras, which are both B&W. Donation of other hardware, even with broken sensors, would be greatly appreciated.